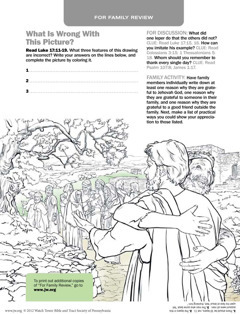 Download and print this activity, complete the picture, and then answer the questions together as a family. Help your child to learn the meaning of God’s name. Match the Bible characters with the objects that go with them. This activity helps children between the ages of 3 and 6 learn about the gift Hannah gave to Samuel every year.